Insurance is as vital to your product delivery plans as safe vehicles and good sturdy cartons. When you ship important cargo many miles away and completely out of your control, you do not want to take any chances on your vessel foundering in a massive mid-ocean storm or your airline simply losing track of your cargo altogether. If situations like these occur, you must be compensated for your cargo's value. Insurance coverage for export shipments is traditionally provided either through your airline, logistics specialist, freight forwarder or from an insurance company specializing in ocean and air cargo. There are three types of coverage commonly provided for export shipments: perils, broad-named perils, and all-risks. Since most transport companies offer an all-risks plan and few if any shippers are likely to want to skimp on coverage, we will concentrate on this type of coverage here. An all-risk policy covers all physical loss or damage from any external circumstance, excluding loss or damage caused by war, riots, strikes or civil disobedience. It generally costs about 1-2% of the declared value of your shipment. Coverage varies according to your product type and your destination point -- you can get coverage for a portside-to-portside shipment or from factory door to your customer's door, for example -- so be sure to ask your policy provider which type best suits your needs and your customer's. Keep in mind, though, that no insurance coverage protects you against a customer's​refusal of your cargo or against his or her failure to secure a required import license that delays shipment clearance, so plan accordingly. Get enough coverage. Talk to your transportation company about what kind of coverage you expect should your cargo get lost or destroyed. Many people ask for coverage in the amount of 110% of their transaction value, including freight costs and the insurance. The extra 10% is to compensate your lost time, profits and any legal or other expenses you might incur from the ordeal. You do not want to find out later (insurance claims typically take anywhere from one to six months to settle) that you are only covered for 20% of your transaction value! Decide who will secure the insurance. How much control do you want should something go wrong with your shipment? Your terms of sale usually determine this. Your liability ends at the point at which the title to the goods changes from seller to the buyer. If, for example, you are guaranteed payment for your shipment regardless of its condition upon arrival, you might be more easygoing about letting your customer handle insurance. However, if you are shipping open account, we recommend that you not only secure the insurance yourself but secure it through a U.S. company to see that any claims will be settled expeditiously. Don't forget: Your customer is usually the first to discover damage or loss of cargo. He or she must take all reasonable measures to minimize the loss or damage and to set aside merchandise to be kept as evidence for claim settlement. Decide who pays for it. Sometimes your customers will request the insurance and offer to pay for it, and sometimes they won't. How you and your customer assign financial responsibility for insurance depends on the cost of the coverage and how the expense will affect each party's bottom line. Negotiate the point to achieve a win-win situation. Leave a paper trail. No matter who arranges and pays for the insurance, there are specific documents you must be prepared to present in the event of a claim. 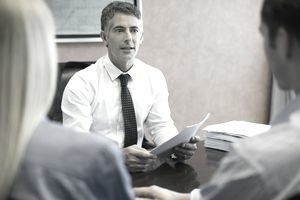 When you file a claim, you must present a letter of claim along with a copy of the bill of lading covering the shipment, a copy of an insurance certificate (prepared by your transport company or, if you purchased insurance through an independent carrier, by you), and a survey report issued by a claim agent, plus an invoice showing the amount of damage or loss. Timeliness is of the essence -- do not miss filing deadlines, if any. One export shipment that doesn't reach your customer's door is one too many! You could sustain a severe financial loss, maybe even the collapse of your enterprise. Protect your business, your cargo, and your customer's interests before releasing merchandise by securing appropriate insurance coverage.